Last year British carmaker, Aston Martin, and Chinese technology and solutions brand, LeEco, signed a Memorandum of Understanding (MOU) to develop a production version of the RapidE electric vehicle concept. LeEco has now pulled out of the project owing to the lack of funds, says Andy Palmer, the CEO of Aston Martin. However, this doesn't mean the project will be scrapped. Instead, Aston Martin has decided to build only 155 units of the RapidE, which is one third of the original plan. Aston Martin is now the sole investor in this project, and has pushed the launch date to 2019 (from 2018). Aston Martin will start accepting orders for the RapidE next month with a 10 per cent down payment on the approximately £ 200,000 (Rs 1.64 crore) price tag. Aston Martin will seek help from Williams Advanced Engineering, a branch of the Williams F1 team, to get this car into production. It is this company that helped develop the Aston Martin RapidE concept in 2015. The battery packs for the car will come from a facility built by a consortium led by Williams Advanced Engineering. What's worth mentioning is that Williams supplies the power packs for cars racing in the Formula E series. 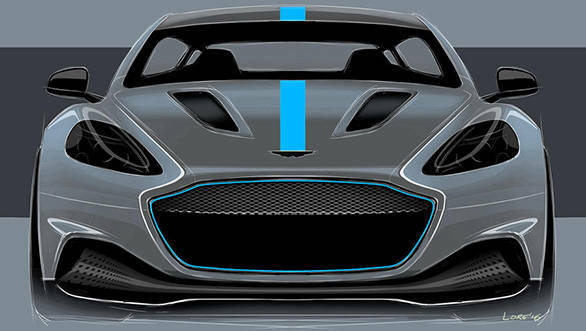 Tags: Aston Martin | Aston Martin Rapide | Aston Martin electric vehicle | Aston Martin RapidE launch date | Aston Martin RapidE price | LeEco pulls out of electric vehicle project | LeEco | Aston Martin RapidE details | Willams Advanced Engineering | electric cars | High performance electric cars.